Posted on July 17, 2017 at 1:41 pm. Illegal gambling dens have turned to online casinos for help in Malaysia, according to emerging reports. Illegal gambling venues in Klang Valley reportedly pay online casinos to use their live stream casino games, according to The Star. The experience has been described as an upgrade from prior offerings at illegal gambling dens. A source told the media outlet local syndicates pay offshore online casinos a subscription fee to use the live feeds. They then distribute the games to gambling den operators. The live feeds, which can be found at reputable online casinos, include live blackjack, roulette, baccarat and poker. A dealer runs the games either in a studio or at a land-based casino and the operators stream the games in real time using webcam technology. The source added there are about 20 dens running the on-the-spot betting service in the Klang Valley. “Live feeds from western countries are more popular,” the source said. Gambling sites in these countries are known for rigging their games, while the UK and other European countries, where online gambling is regulated, are not. Syndicate reportedly charge gambling den operators around 15 percent commission. It then pays the online casino operator between five to eight percent of its earnings, which is reportedly between RM30mil and RM50mil per month. A gambling den operator is said to earn from RM50,000 to RM2 million per month depending on the location and number of customers. To prove the games are broadcast in real time, live news channels have been added to the live stream by the gambling den operators. The Star investigated a number of alleged gambling venues and found they operate illegally in shoplots. The venues are locked and can only be accessed via doorbell. Operators determine whether a visitor can enter by using the closed-circuit cameras outside. According to the Star report, only regular customers can enter while new players need to be with a trusted patron. Players make a deposit at the front counter to participate. The amount is then credited to a computer among the rows and rows of desktop devices which display the live feeds. There is also a range of video game machines which are computerised poker machines. Winnings are crediting to the player’s computer and the gambler can cash out at the same counter. A worker for a gambling den reportedly told The Star that players generally visited after hours. “We operate 24 hours and have staff on shifts around the clock,” the worker said. They added that players received beverages on the house, similarly to a land-based casino. But a recent crackdown on illegal gambling dens in the country has hindered operations. Recently, a number of policemen who were bribed to protect illegal venues have been arrested. 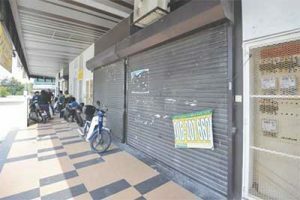 Many dens shut down temporarily in the Klang Valley as a result, but have since resumed operations due to high overhead costs. Whether or not you can play live dealer casino games depends on the country you are playing from. There are several live dealer online casinos available to players from United States, but we highly recommend Bovada Casino as the safest and the best online casino providing support for players from United States while also offering several live dealer game variants.